Automobile insurance policies can sometimes seem complex. This is the same in Texas as other states. While you may be insured against an accident with an uninsured driver, many in Texas do not realize that there is a limit on filing a claim when you have been involved in such an accident. The Texas Civil Practice & Remedies Code, Section 16.003 and Section 16.004 set a limit of two years on filing a lawsuit regarding personal injury and/or wrongful death when involved in an accident with an uninsured driver. However, there are exceptions to these statues. For example, Raul C. Franco, of Texas, filed a claim against Allstate Insurance Company three years after an accident that killed his daughter and caused personal injuries. The insurance company refused to pay. It went all the way to the Texas Supreme Court who ruled, since it was a contract between Raul and the Insurance Company, the limitation period was four years. Mr. Franco would not have realized this injustice if it had not been for the hard work of his Personal Injury Attorney in Houston. This clearly illustrates the need for legal representation when you are involved in any kind of automobile accident. If you have been in an accident with an uninsured driver, or in any type of an automobile accident, it is important to contact a lawyer. You will find a Personal Injury Lawyer in Houston, who is experienced in this type of claim, will be happy to discuss your personal situation with a free consultation. They will listen to your account of the accident, discuss pros and cons of the situation and determine if you have a case. If they agree to represent you, they will receive their fee from the final settlement. No settlement means no cost to you. Upon accepting your case, firms, such as Sigmon Law PLLC, will do all in their power to see that you have just compensation for damages, injuries and/or wrongful death. They will have the scene of the accident inspected, look at police reports and do other types of investigations. With an extensive knowledge of Texas Law, regarding uninsured motorists and other types of auto insurance coverage, they are able to apply this knowledge to the specific points of your case. Sometimes an arbitrator can settle a case. However, if it requires filing a lawsuit in court that is what your attorney will do. 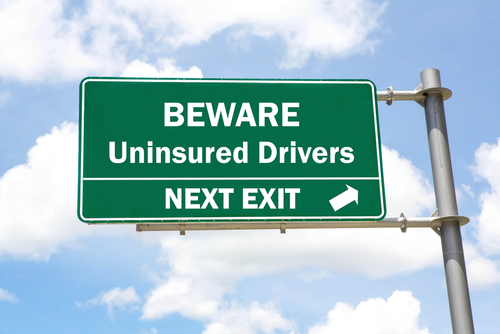 With so many uninsured drivers on the road today it is hard to think of any reason a driver would not have this on their automobile insurance policy. It can help prevent financial ruin if such an accident occurs.